The USC Shoah Foundation Visual History Archive includes rare testimonies from gay Holocaust survivors. When Natalie Musante, a student at Michigan State University, sought resources to help her understand “why America doesn’t have a larger collective memory about homosexuality in the Holocaust,” she discovered a dearth of primary source materials to help her in her research. Why is there so little information available on this topic? Because homosexuality remained a crime in Germany until 1994, very few gay Holocaust survivors came forward to tell their stories after World War II. Upon release from concentration camps, some of these men were even re-arrested and put in prison based on evidence gathered by the Nazis. It wasn’t until the 1980s and ‘90s when governments started acknowledging these victims of the Holocaust. As a result, some of dwindling population of gay survivors still living were empowered to share their experiences. By 2000, fewer than 10 of these men were known to be alive. Firsthand accounts from these survivors revealed little known details of the particularly cruel abuses and “experiments” inflicted on the gay community; their intimate stories revealed the struggles and suffering of human beings coming to terms with their sexuality. In 1986, The Pink Triangle: The Nazi War Against Homosexuals by Richard Plant was the first comprehensive book on this topic published in English. Plant was a gay Jewish émigré who fled Nazi Germany for Switzerland during the war. Pierre Seel, the only French person to have spoken out about being deported as a homosexual during World War II, published his memoir I, Pierre Seel, Deported* in 1994. Gad Beck published his autobiography, An Underground Life: Memoirs of a Gay Jew in Nazi Berlin, in 2000. 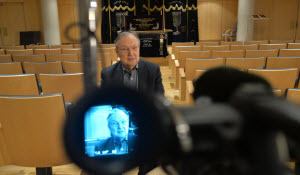 Seel and Beck are also among the small number of gay Holocaust survivors who shared their testimonials in video-recorded interviews with the USC Shoah Foundation Visual History Archive. 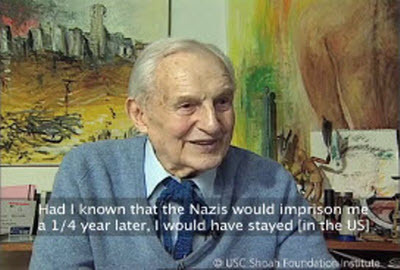 Photographer and actor Albrecht Becker is another survivor who shared his story with the USC Shoah Foundation. He gave his testimony in 1997 at the age of 91. Becker recalled living openly as a young man in Hamburg – despite homosexuality being technically illegal, gay men felt didn’t feel endangered. After all, the leader of the Nazi paramilitary Stumabteilung (SA) organization, Ernst Rohm – one of Adolf Hitler’s longtime advocates and allies – was himself openly homosexual. It just wasn’t a big deal. However, the government’s leniency regarding Paragraph 175 – the law which criminalized homosexuality – came to an abrupt end as Hitler sought to consolidate power. As the regime carried out the execution of other Nazi leaders deemed threatening to Hitler’s takeover, Rohm was among those killed. Subsequently, a special division of the Gestapo compiled a list of gay individuals. Between 1933 and 1945, approximately 100,000 men were arrested. Many were imprisoned, others were sent to concentration camps. By some estimations, up to 60% did not survive. Hundreds of men living in Nazi occupation were castrated under court order. You can view a segment of Becker’s testimony here. Natalie Musante, the researcher from Michigan State University, says the Visual History Archive provided her with insight and information she was lacking. 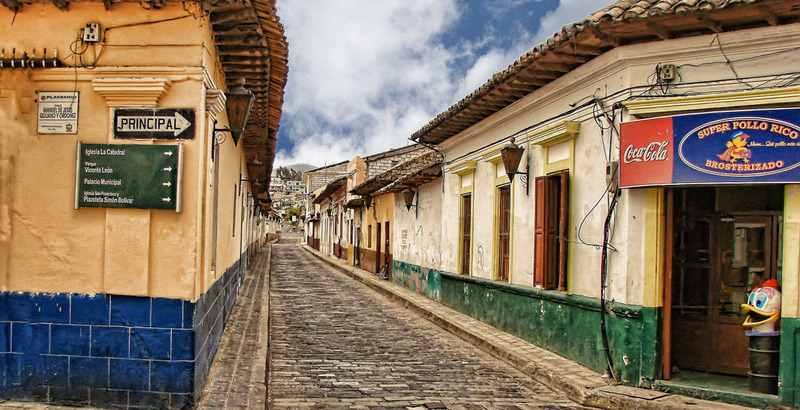 “The Visual History Archive can help students and scholars working on this subject explore untold narratives to contribute to a fuller understanding of the past,” she adds. Woolner points out that oral histories of experiences in concentration camps and during World War II shed light on everyday life under circumstances difficult for many of us to even imagine. These stories illuminate the lesser known narrative of gay persecution during the Holocaust and reveal the intimate everyday interactions that helped people survive thanks to the generosity of strangers. ProQuest is honored to be in partnership with USC Visual History Archive to offer a streaming version of the video testimonies in entirety. Watch the videos, learn more and sign up for librarian trials. Be sure to also see Ebook Central and Historical Newspapers for more insights. *Available from ProQuest Ebook Central. It wasn’t until the 1980s and ‘90s when governments started acknowledging these victims of the Holocaust. As a result, some of the dwindling population of gay survivors still living were empowered to share their experiences. Firsthand accounts from these survivors revealed little-known details of the particularly cruel abuses and “experiments” inflicted on the gay community; their intimate stories revealed the struggles and suffering of human beings coming to terms with their sexuality. Becker recalled living openly as a young man in Hamburg – despite homosexuality being technically illegal, gay men didn’t feel endangered. After all, the leader of the Nazi paramilitary Stumabteilung (SA) organization, Ernst Rohm – one of Adolf Hitler’s longtime advocates and allies – was himself openly homosexual. It just wasn’t a big deal. You can view a segment of Becker’s testimony. Woolner points out that oral histories of experiences in concentration camps and during World War II shed light on everyday life under circumstances difficult for many of us to even imagine. These stories illuminate the lesser-known narrative of gay persecution during the Holocaust and reveal the intimate everyday interactions that helped people survive thanks to the generosity of strangers.